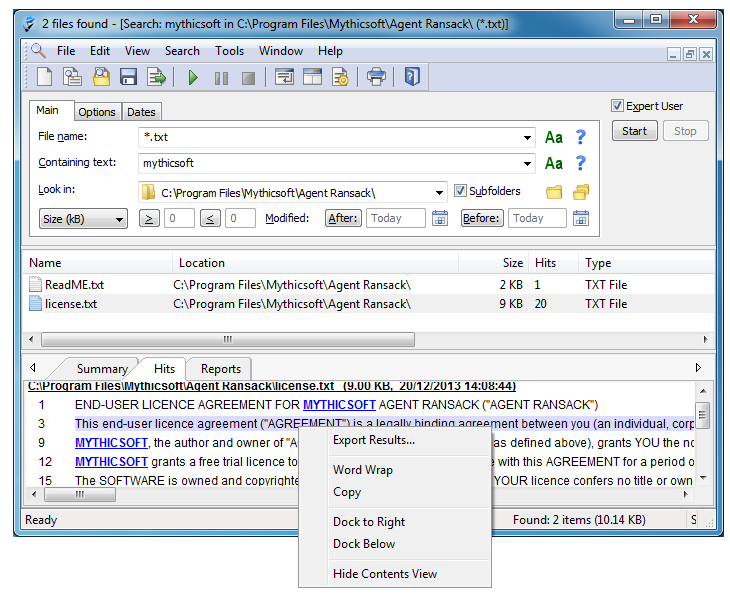 Agent Ransack is a free software program for finding files on your PC or network drives. 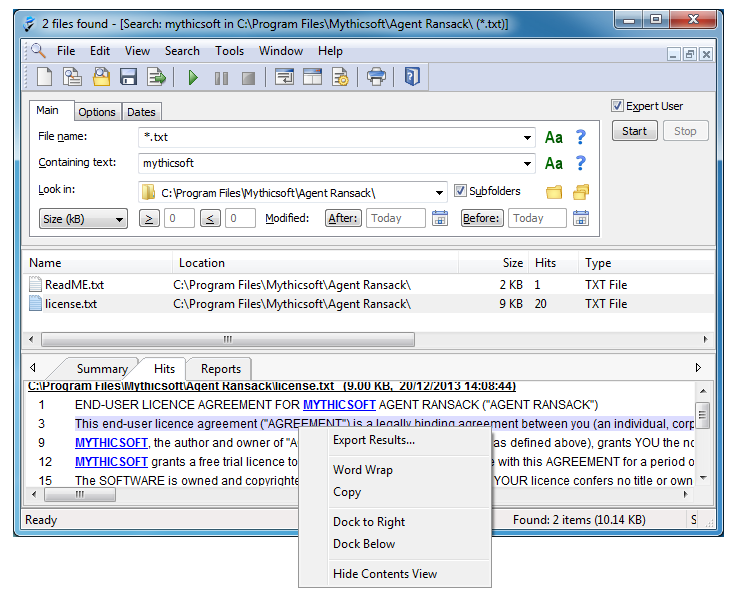 Found text is shown with highlighted keywords so you don't need to waste time opening each file looking for the right information. 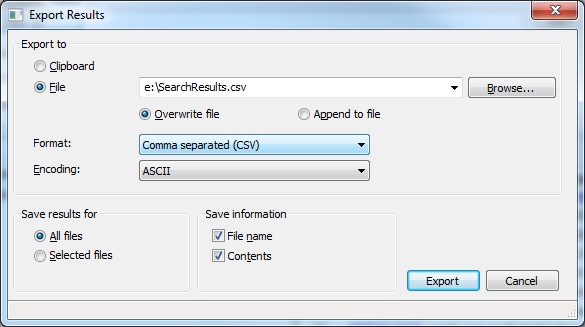 Combine search terms using the familiar Boolean operators AND, OR, NOT. 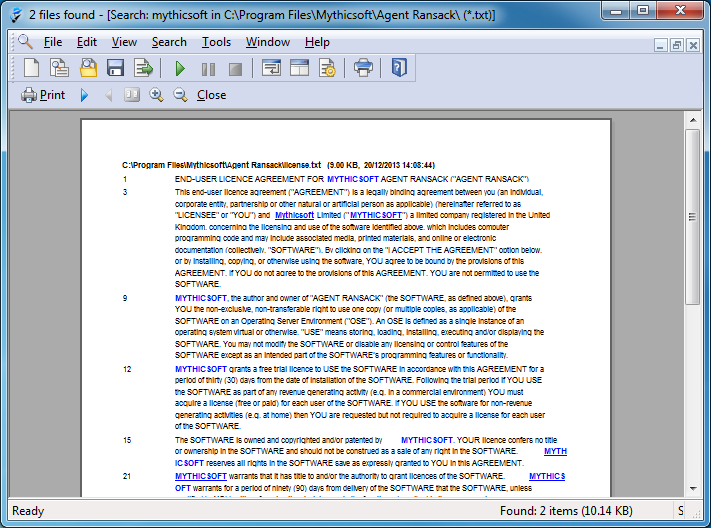 Support for popular Office formats including Office 2010 and OpenOffice. 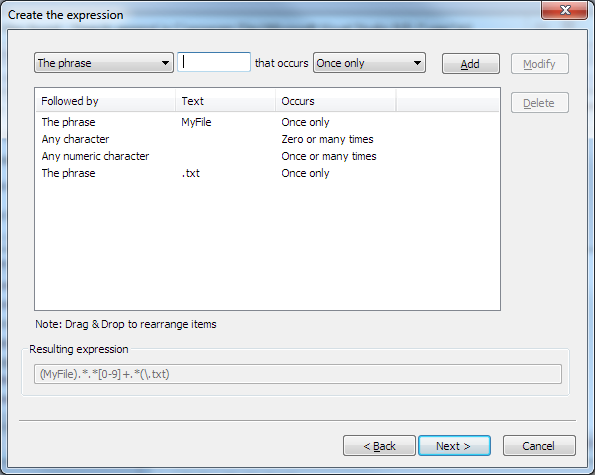 Support for Perl compatible regular expressions. 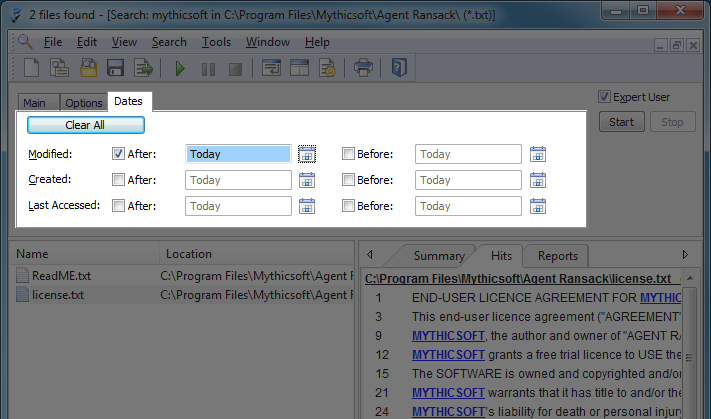 Natively compiled 64-bit version for improved compatibility. Highly efficient search algorithms mean that you spend less time waiting for results. 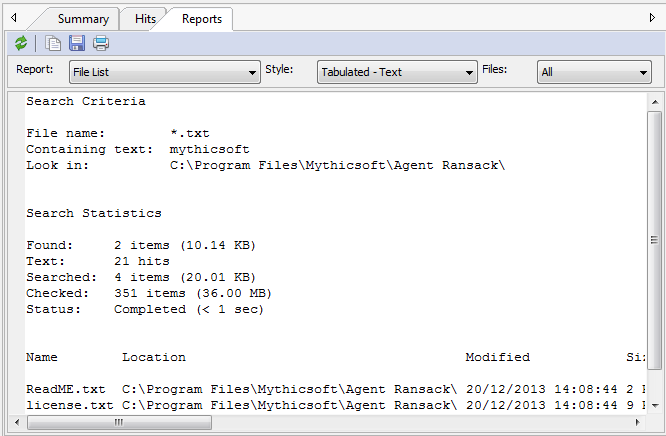 Results can be shared with others through reports, printing and exporting.